Are the fine lines on your face getting a little deeper? Are dark spots and uneven tone marring your complexion and messing with your confidence? Do you want to tighten skin and restore a more radiant look? You’re in luck. Skin care services that address a range of these common concerns have never been more popular, with procedures ranging in cost and complexity. Here are some of the treatment options available to you from aesthetics professionals at med spas and other practices. 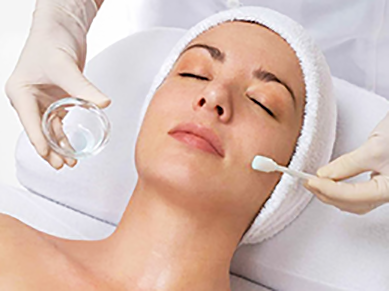 Chemical peels are the most popular service provided by spas and med spas. They can be used to minimize the appearance of fine lines and wrinkles, minimize acne scars, and improve uneven tone. Depending on your skin type, the chemical peel you receive will feature alpha hydroxy acids (glycolic, lactic) or beta hydroxy acids (salicylic). Peels vary in aggressiveness (percentage of acid); some peels sting, create redness, and can leave skin quite dry. 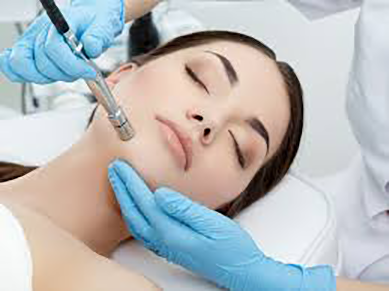 Microdermabrasion is a pain-free mechanical process for creating a smoother, glowing complexion. A wand is maneuvered over your skin to rapidly exfoliate and remove the outermost layer of cells. For a crystal microdermabrasion, the wand emits fine crystals (like a gentle sandblasting). For diamond tipped microdermabrasion, the tip of the wand abrades the surface cells. 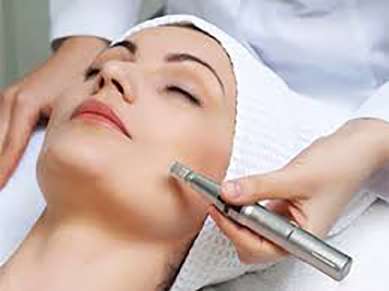 For both types of treatments, the exfoliated particles are simultaneously vacuumed away by the wand. Dermaplaning is the controlled removal of dull, dead skin cells using a surgical blade; dermaplaning exfoliates the skin, minimizes imperfections, removes fine vellus hairs, and reveals a brighter, more even skin tone. It also permits skin care ingredients to penetrate more efficiently. A popular treatment for aging skin, microcurrent uses low level electrical current to trigger the body’s natural skin enhancement chemicals at a cellular level. Microcurrent provides both firming and toning benefits that improve with subsequent treatments. Microneedling is a minimally-invasive procedure that uses a roller or pen — with steel surgical needles — to puncture the skin. It works by harnessing your skin’s capacity to heal itself (stimulating collagen and elastin production). 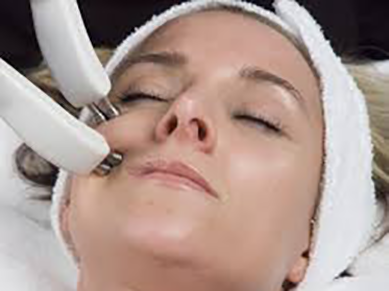 Microneedling improves firmness and can be used to minimize textural problems, such as acne scars and wrinkling. 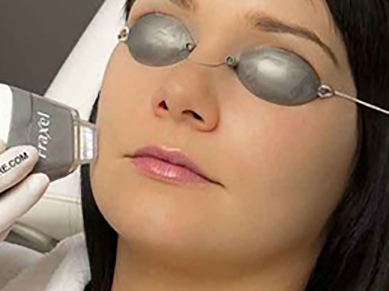 You are likely to experience some redness and drying following Microneedling. Laser technologies (like Fraxel) offer a more aggressive (and costly) means to help restore skin to its optimum appearance. To achieve best results, lasers treatments usually require 3-5 sessions, spaced weeks apart. The enhancements can be quite dramatic, with diminished wrinkle depth, smaller pore size, less noticeable scarring, and smoother texture.